The federal government has confirmed six additional cases of Monkeypox. The cases are amongst those sent to the World Health Organisation’s laboratory in Dakar, Senegal, a statement by the Ministry of Health said Friday. The Minister of State for Health, Osagie Ehanire, said two cases each were confirmed in Bayelsa and Akwa Ibom States, one each in Enugu State and the Abuja. 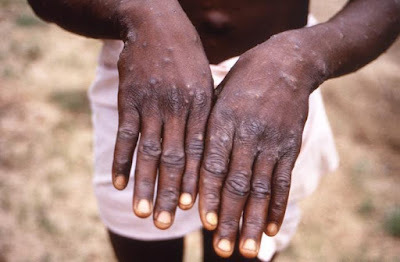 They bring to nine the total number of Monkeypox cases so far confirmed in Nigeria. Three had earlier been confirmed on October 16. Mr. Ehanire said investigations were ongoing to establish whether the new cases emanated from Bayelsa where the outbreak started. Mr. Ehanire said as frightening as the manifestation of the ailment may seem, no fatality has been recorded to date. Meanwhile, there are 94 suspected cases reported from 11 states, namely Akwa Ibom, Bayelsa, Cross River, Delta, Ekiti, Enugu, Imo, Lagos, Nasarawa, Niger, Rivers and the Federal Capital Territory. The minister said the new patients were already being managed by public health authorities and had been receiving appropriate clinical care since onset of the illness.